Here’s a quick extension by request. This extension adds a command that can batch name instances in multiple frames. Just select the frames and run the command. Sign up today and get the InDesign Split Text premium extension for free! Success! Check your email to confirm your subscription and get your reward. Nice. I can see this being very handy. Cheers. This is triggered every time I select keyframes within a tween. Specifically It is caused when you include the final frame of the tween. Selecting multiple keyrames within a tween works fine until you include the end frame. Thanks for the details, Tim. I should be able to troubleshoot this. Look for a fix in the next few days. Tim, I was able to fix this error. I also corrected another minor glitch so that the command will still run on the first frame selected even if it isn’t a keyframe. Download link above has the new version (1.0.1). Lubo, I’ve taken your suggestion and updated the extension. Thanks for your feedback! It worked like a charm. Thanks for a great extension that will save me a lot of tedious instance naming. Mirek, thats exactly what i need! Problem is, im not well versed in creating or modifying extensions, do you think you could upload your extension with the count added in? Justin, awesome extension. I wasnt aware that flash extensions were this handy until today. Keep up the awesome work! Thanks for the kind words. I’m glad to hear that the extensions are coming in handy! Here’s a modified package that appends a number: INSTANCE – multi-name-numbered.mxp. FYI: It restarts the numbering on each new frame. You are a legend. You have no idea how much that is going to help me. Thankyou so much, i really appreciate it!! You’re welcome, Haansplosion. Glad I could help! I tested this on CS3 and CC and it was working for me. Are you sure you’re looking instance names (found in the Properties panel) and not symbol names in the Library? Wow.. this was really useful. Thank you. Glad we could help, Alex! thanks for this, this will save me 100+ hours in the long run. Is there any way of getting this to work on the newest version of Adobe Animate CC? Can’t seem to get it to install. Works amazingly in CS6 but I need it in Animate CC. Thank you! This doesn’t seem to work. Any chance you could post the native .jsfl text file so we can just run as a command in AnimateCC? Nothing else seems to work as far as installing this is concerned. Not at this time, Dave. 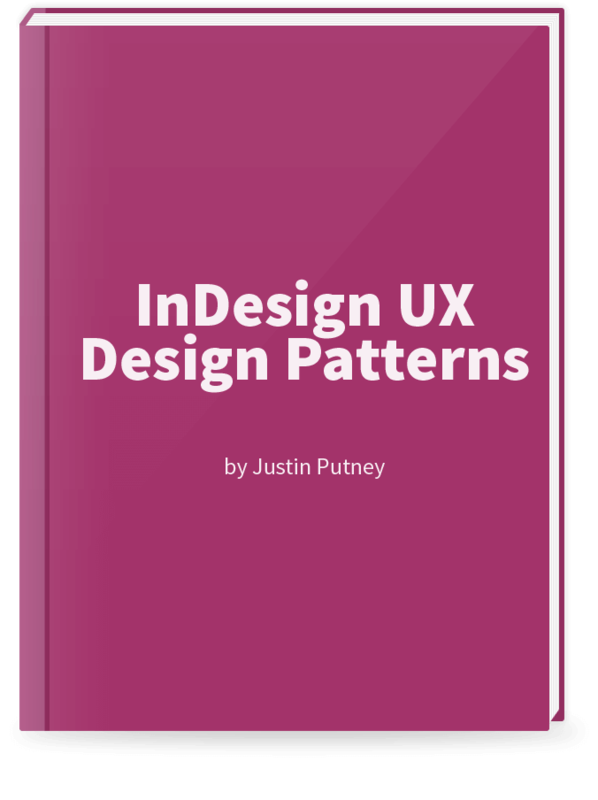 The InDesign UX Design Patterns guide from industry expert Justin Putney will show you how to build interactive designs without coding.